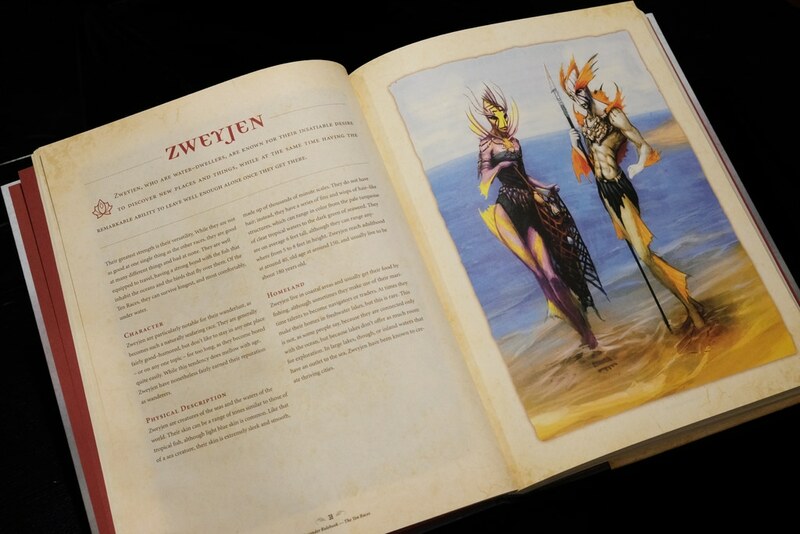 We were asked to design a book that would stand out, get noticed and compete with other role playing games. 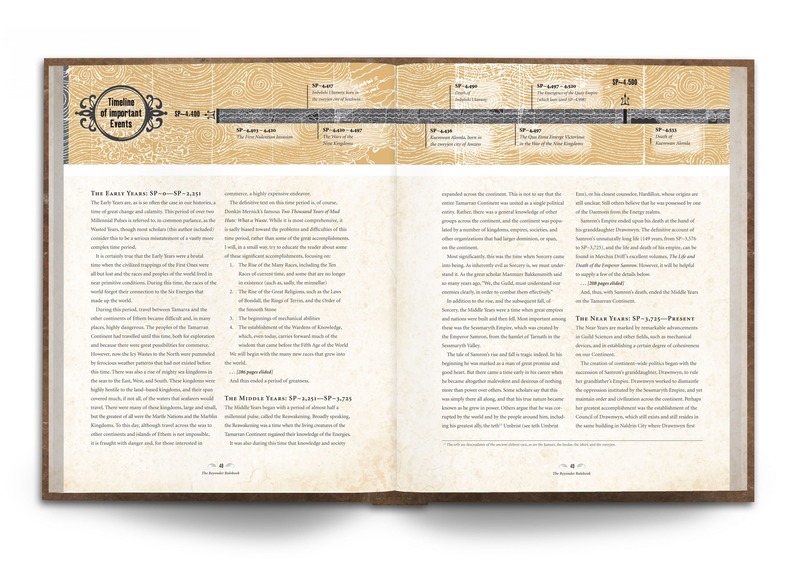 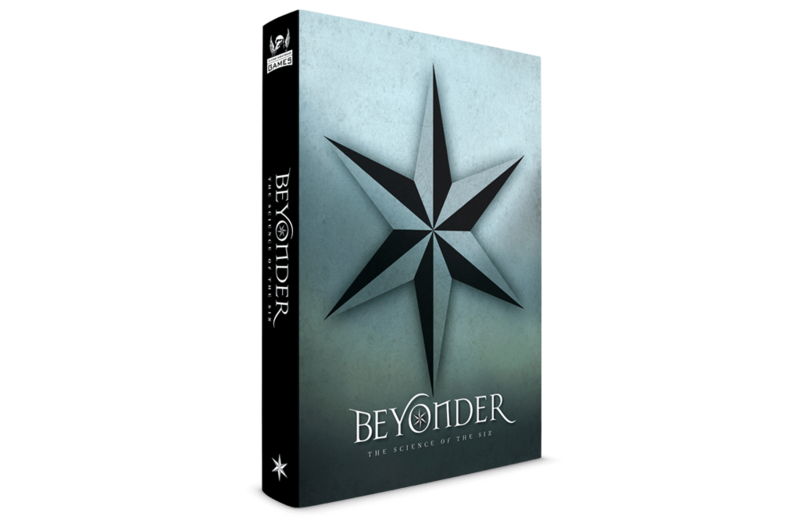 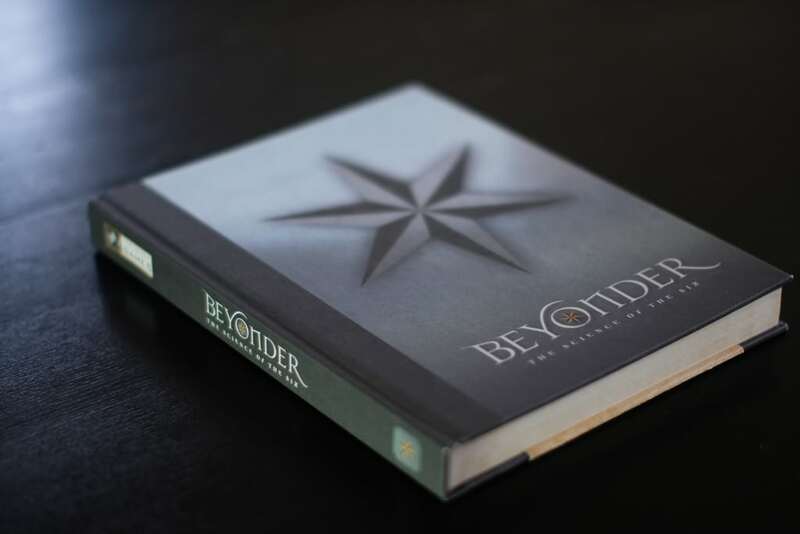 Beyonder: Science of the Six, is a book of rules for the game and so much more. 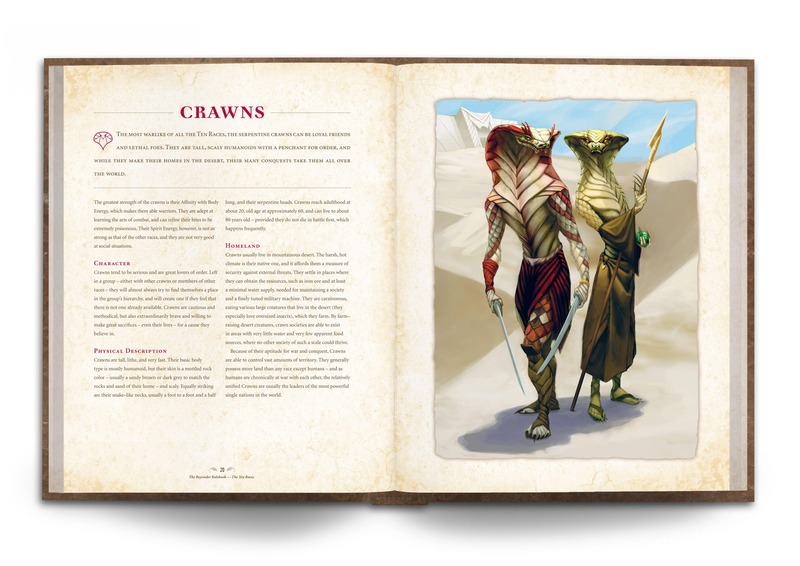 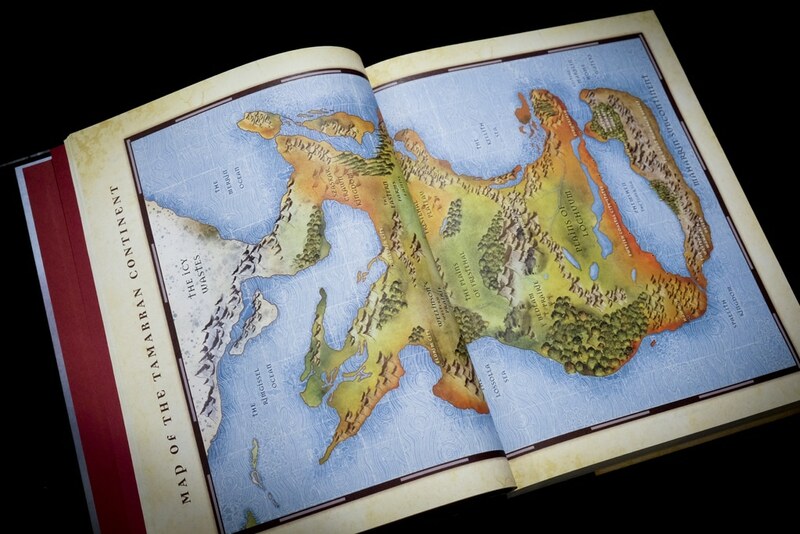 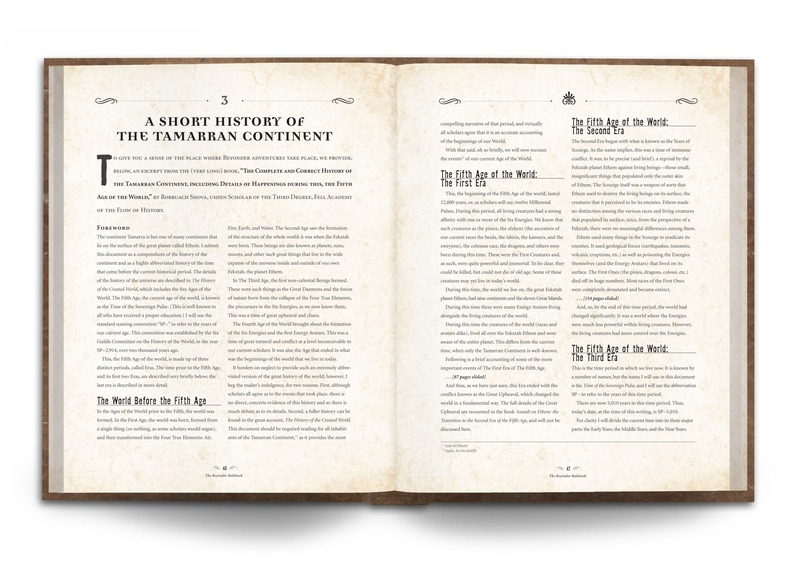 It takes players into the fantasy world of Tamarra with illustrated pages of characters, maps and stories taking players deep into the history of this fantasy world. 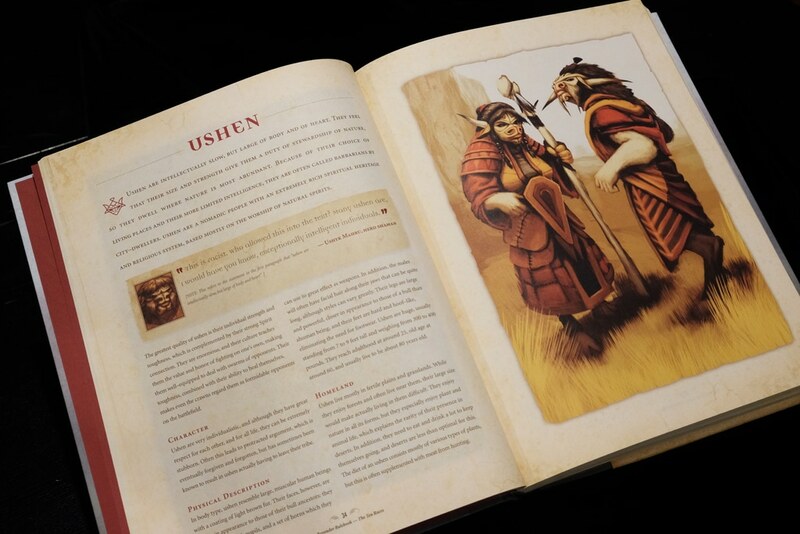 It also lays out the rules of the game and various ways to play the game. 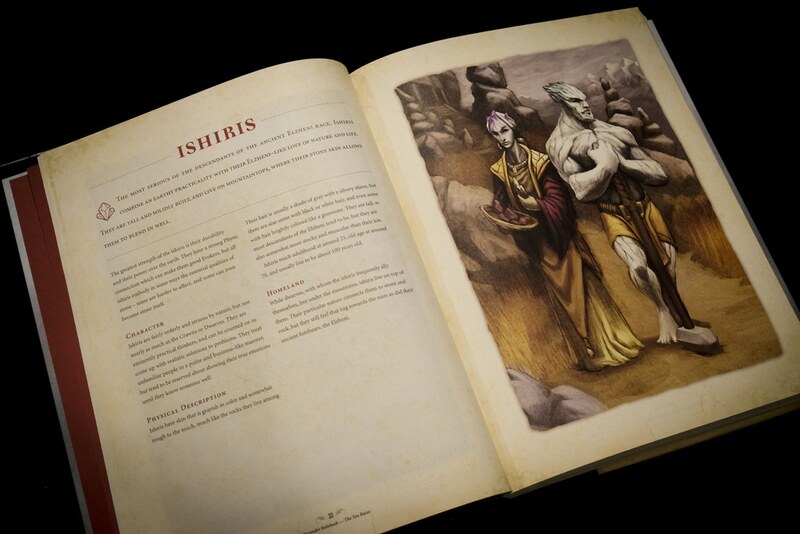 Like its partner book, Imbelnhi’s Bestiary, this book is an essential part of the overall branding of the Beyonder role playing game. 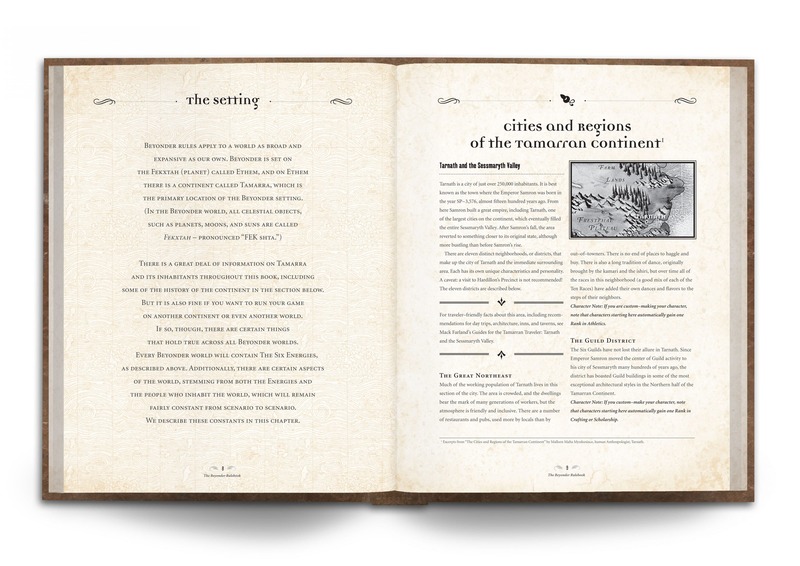 We have also designed the Flying Night Bear Games (the parent company) brand, along with the identities for both books. 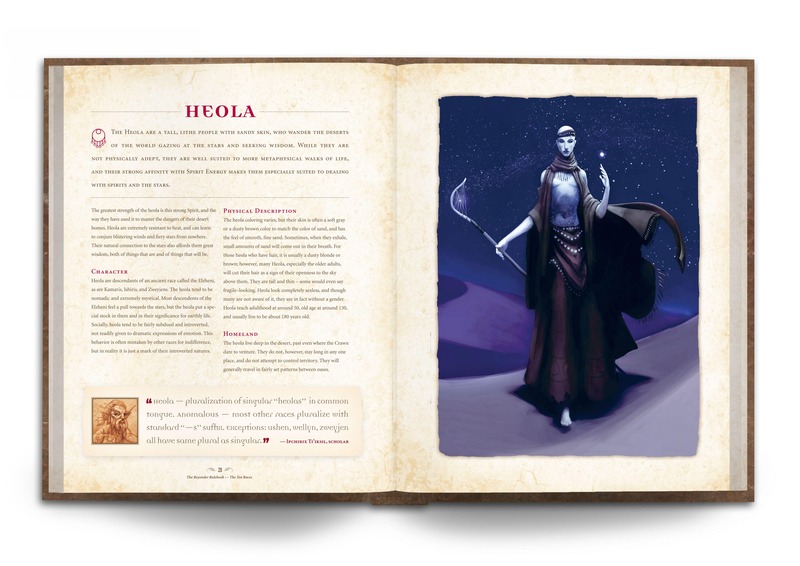 Other pieces we have created to this point include: websites, book bands, posters, cards, a mini-games booklets. 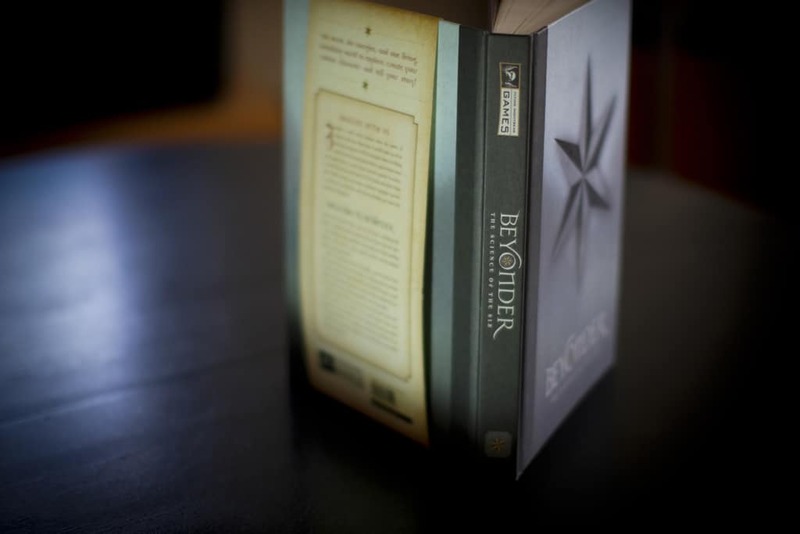 • Beyonder: Science of the Six: awarded a merit from the Graphis International Design Annual.